It’s brighter and has a superb viewing angle to the sides, so cars in adjacent lanes can’t miss you. You can chose different display modes to pick from, as well as adjust the brightness of the brakelight and the numberplate light. It uses Cree LEDs. Anyone that knows anything about LEDs will give a big nod on this top brand! It’s also modern technology, reliable, made in Australia and they look awesome! 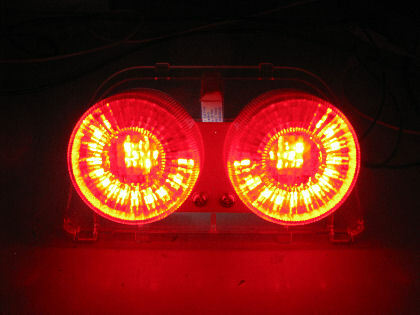 Below are 3 different brakelights in the one picture. 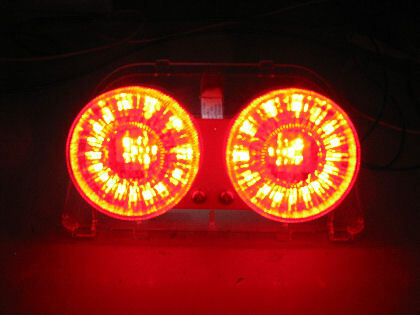 The China star burst LED brakelight on the left. It is only bright when standing directly behind but, not slightly to the side. It also has number plate light that is overboard. 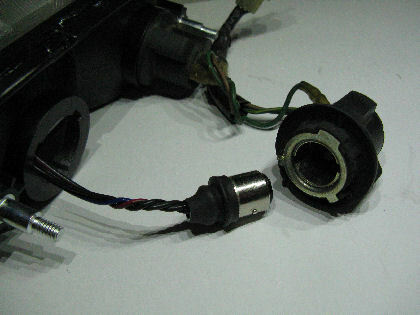 The original stock bulbs are shown in the middle. Must use a red lens. You can chose from 7 different brakelight combinations. This is done by turning ignition on and immediately flash the brakelight 6 times. The main 4 display modes are shown below, which either go to the full or ring style when the brake is on. Same goes for the numberplate light… you can change that between Low/Medium/High setting as well. The LED upgrade module simply plugs into your existing bulb socket. 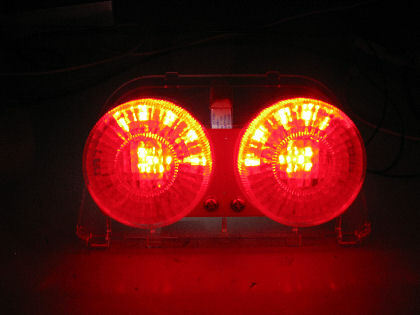 Buy a complete brakelight, ready to fit. 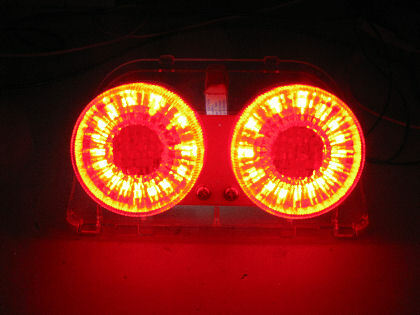 Red, Clear and Dark tinted brakelight available! Alternatively, you can save on cost and buy just the LED module (see below). Upgrade your existing brakelight.